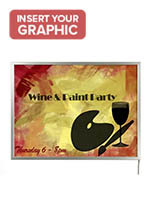 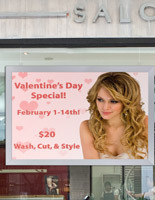 Need an attractive display for a storefront window? 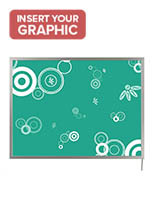 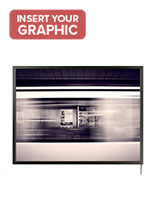 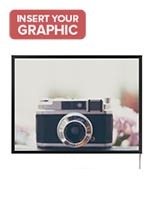 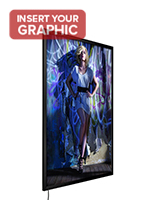 A hanging light box is great for putting ads, movie posters and sale offers in the spotlight. 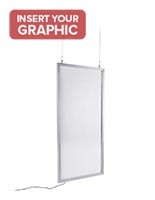 Each suspended panel illuminates a translucent graphic with energy efficient LEDs. This source of lighting lasts approximately 100,000 hours (11 years) when used for 24 hours and 7 days a week. 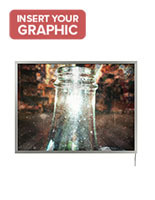 While LEDs are more expensive than other bulbs, they make up for it by saving power and reducing the need for replacement. 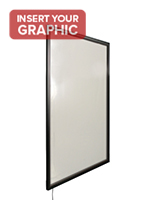 In addition, each ceiling-hanging fixture includes an overhead mounting kit for easy installation and can be placed vertically or horizontally for added versatility. 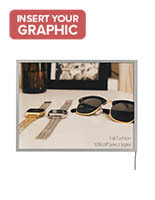 This type of signage has a clip open frame that makes replacing prints quick and simple. 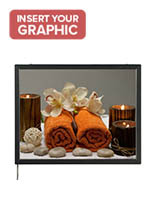 Additionally, the hanging light box has many different sizes and styles for any advertising need. 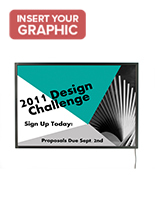 This suspended fixture is available as a single or double image display. 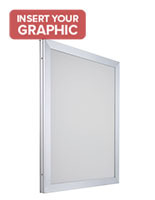 An overhead light box that showcases (1) graphic features a slim profile of 0.9” or less while the model that holds (2) inserts has a depth of 1.8”. 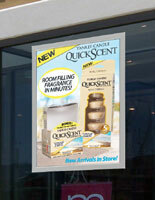 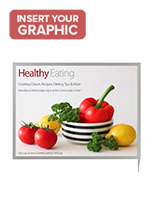 Double-sided signage is great for maximizing ad space in stores, theaters and restaurants. 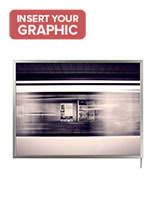 Available in a neutral black or silver finish, the ceiling-hanging panel blends with any décor. 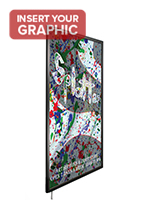 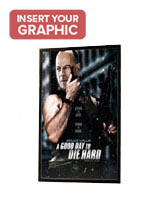 The illuminated sign is offered in a variety of sizes including the popular 27” x 41” frame for movie posters. 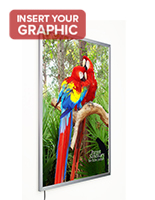 Each enclosure features a clear lens for protecting the image from wear and tear for added durability. 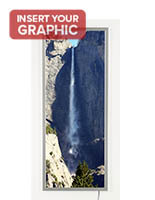 In addition, these energy-saving fixtures ship same day when ordered before 3PM EST when ordered from SnapFrames.com.